These surfaces are the level surfaces of a function. For small values the levels are tubes around two circles. 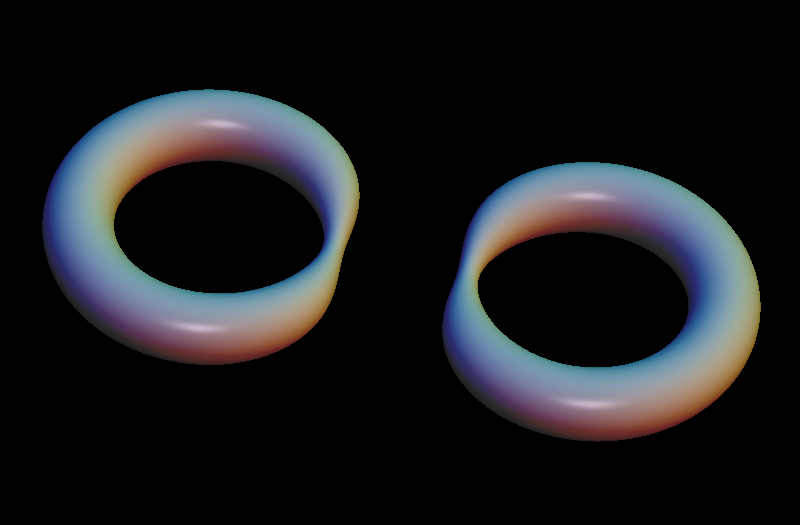 For larger values a connection (called “handle”) between the tubes makes the level into a torus. 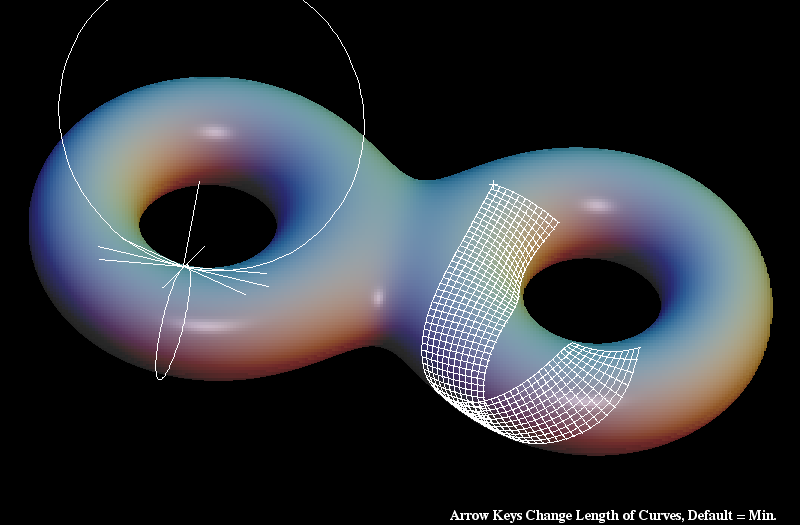 For even larger values the holes of the torus disappear. Surface with a geodesic grid and a pair of curvature circles. 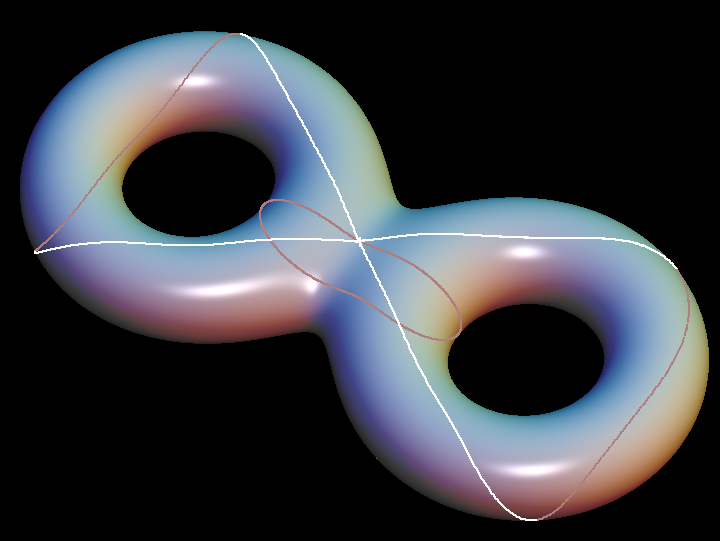 Surface with two closed geodesics.